Thinking about putting away some silver coinage in your savings? I ran across this site recently. 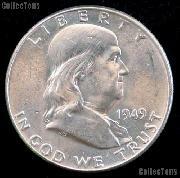 Franklin Half-Dollars for $8.49, which is about 15% over today’s $18.62 spot price from Kitco. In the era known as “Reconstruction,” thousands of Mississippians migrated to Texas for a new beginning, often leaving the letters “GTT” scrawled on the door of their abandoned homes. With all the chatter on the internets about toxic rains, raising the possibility of mass evacuations of the Gulf Coast, is a new era of Reconstruction soon to begin for the Deep South? I realize that this is all just internet rumor and speculation at this point, and I don’t take it seriously. But somewhere in the corners of my mind, a nagging suspicion and an uneasiness exists. It has begun to occupy my thoughts. Is it prudent to at least begin thinking about contingencies? I don’t know what others will do. But, for me and mine, if it comes about, I think I know where we’ll go. This is a startling video. Louisiana residents witness a strange rain that leaves oil puddles near their homes. M.D. Creekmore at the The Survivalist Blog – a survival blog dedicated to helping others prepare for and survive disaster – with articles on bug out bag contents, survival knife choices and a wealth of other survival information is giving away a 1,000 round case of 9mm – 124 Grain FMJ (a $200 value – donated by LuckyGunner)! To enter, you just have to post about it on your blog. This is my entry. Visit The Survivalist Blog for the details. We love you, Nuke and N2l! I just finished this rather lengthy article at The Oil Drum and it paints a much bleaker picture of the ramifications of this disaster. This is not my area of expertise and I certainly hope he is wrong. If he isn’t, we are witnessing the destruction of a vital sector of our nation and the lives of millions of people. Robert Palmer, in his prime.